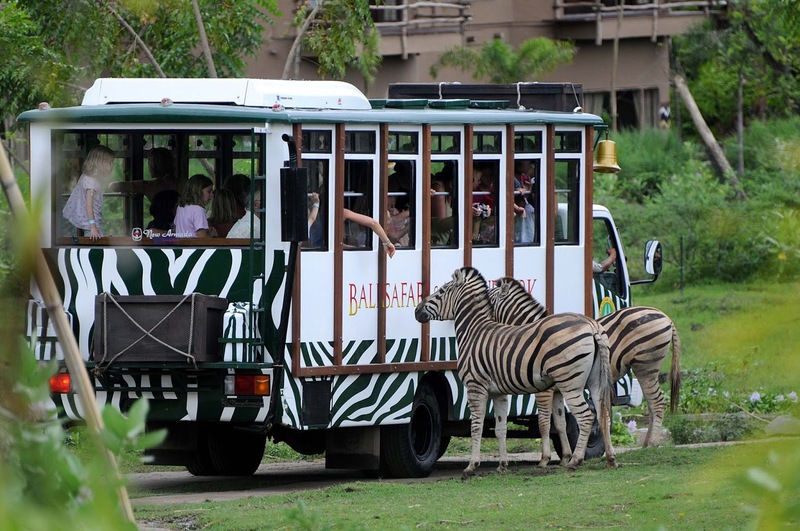 Bali Safari & Marine Park offers a fun day out, and serves as one of the island’s largest and most visited animal theme parks which opened its gates in 2007. 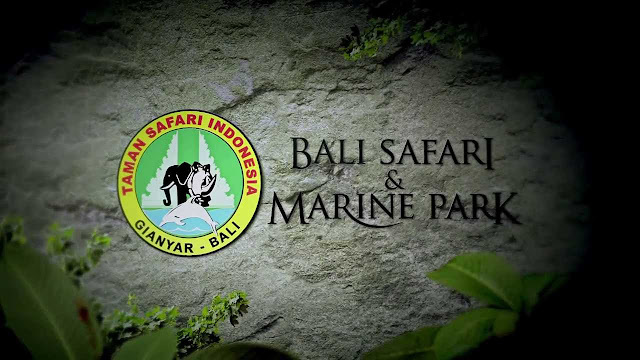 The Bali Safari & Marine Park was established by Taman Safari Indonesia; covering 40 hectares of land in the Gianyar regency. It is home to over 60 species, all of which roam free in large enclosures that mimic their natural habitats. Enjoy riding on a safari bus to visit the animals, watching fascinating elephant talent shows, get cuddly with baby orangutans, and view baby sharks at the aquarium. Families travelling with children will have a blast together at the adjacent water and amusement parks. In Bali Safari & Marine Park collection are 80 species and around 400 specimens from three regions - Indonesia, India and Africa, including spotted deers, Himalayan bears, nilgai, black bucks, African hippos, zebras, camels, ostriches, baboons, blue wildebeests, and lions. The most epic on display are the legendary Indian white tigers. Guests board safari buses to travel through different areas of the park. Bali Safari & Marine Park’s signature Safari Journey takes visitors through the manmade habitats of Indonesia, India and Africa on modified safari trams, providing the opportunity to see the wildlife collection living naturally all together in the open range regions and to take as many photos as they like, all from the comfort and safety of the air-conditioned safari tram with their very own personal guide. 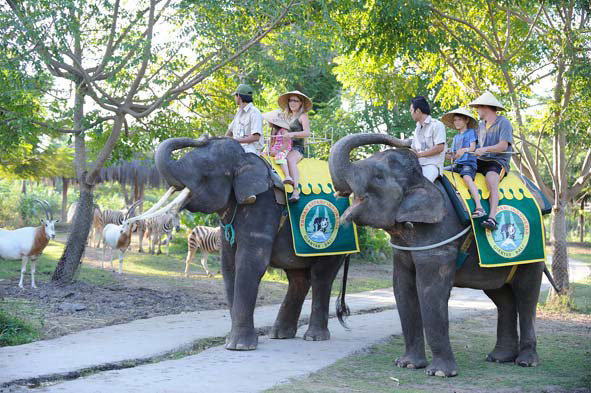 Key exhibits in Bali Safari and Marine Park include Ranthambore, a replica of an ancient Indian fort in the city of Rajasthan where majestic white tigers roam; Kampung Gajah (Elephant Village), a sanctuary for retired working elephants; and the showcase of the komodo dragons. There are also camel and elephant rides to experience as well as fun close-up photo opportunities with some of the animals. Also, check out the various free live animal shows as well as the new Bali Theatre onsite, with the currently-running magnificent Bali Agung show. A visit to the Bali Safari and Marine Park will take up a full day to enjoy all that the park has to offer. It is best to get there at opening time as there is so muchBali Safari and Marine Park to see and do. Best have your own transport instead of taxi, or at least a return transfer back to your hotel. The climate here can be rather hot so keep hydrated throughout the day. Make good use of the free attractions and photo opportunities found throughout the park and have a free map of the park handy to explore all corners of site. The location is quite far-flung, so it’s a good idea to plan some stopovers on the way to, or from the park. Bring a change of clothes, towel and swimwear if you want to take a dip and have fun with the kids at the nearby water park.